When former DNC interim chair Donna Brazile announced she'd be joining Fox News as a daily contributor, she predicted she'd be getting some backlash from "friends" in the progressive movement. She was right about one part - the outrage. The friend part? Not so much. When I posted the report on my Twitter page, dozens of progressive critics responded to inform Brazile she was never their friend and that she never really belonged in the movement. It is cute Donna Brazile thinks she still has friends in the progressive movement. No one is surprised, Donna. You’ve never been a progressive. What "friends"!? We don't much care for you Donna. Donna Brazile.... it actually makes sense for her to be on fox news. does she have any credibility with progressives? hell no. Only those deeply entrenched in the establishment would even give a her a second look. Still, Brazile isn't concerned about the criticism. In an op-ed posted on FoxNews.com, the Democrat said she's of the mind that, "you cannot make progress, let alone reach compromise, without first listening to, and understanding those who disagree with you on critical issues." "This was a bold move for you and for Fox," Dana Perino noted when she welcomed Brazile to the network on Monday. 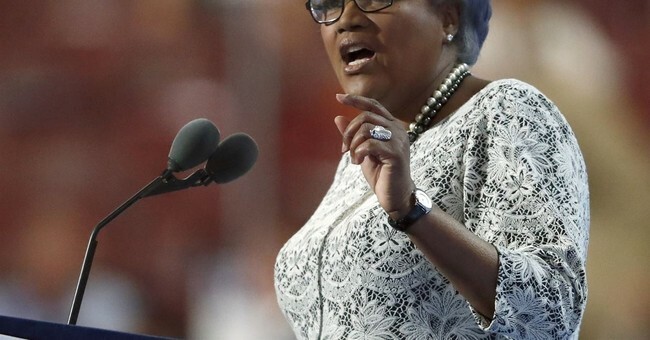 "This is an opportunity to reach across the aisle," Brazile said, "to reach even within my own political party and to independents and others who might want to hear what’s happening within the Democratic Party." She added that "nasty tweets" aren't going to solve anything.